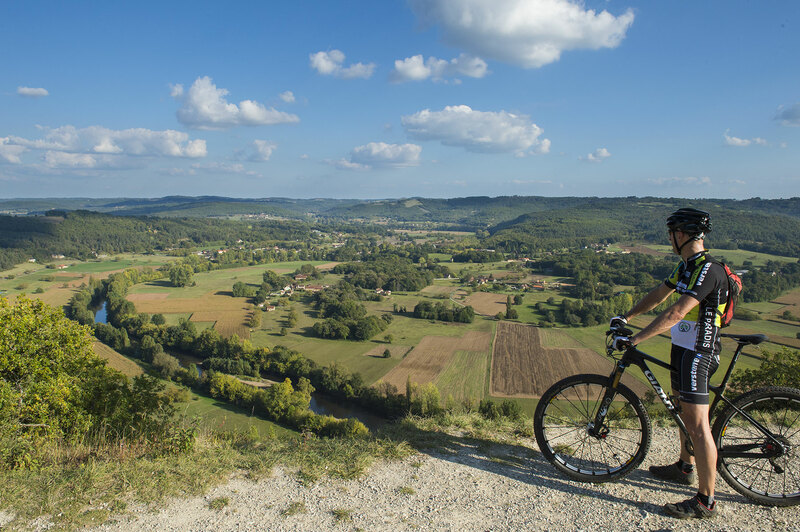 The Le Paradis campsite is located in the Vézère Valley at the heart of the Périgord Noir. The valley is a World Heritage site listed with UNESCO. The Vézère Valley includes prehistoric vestiges and listed sites. 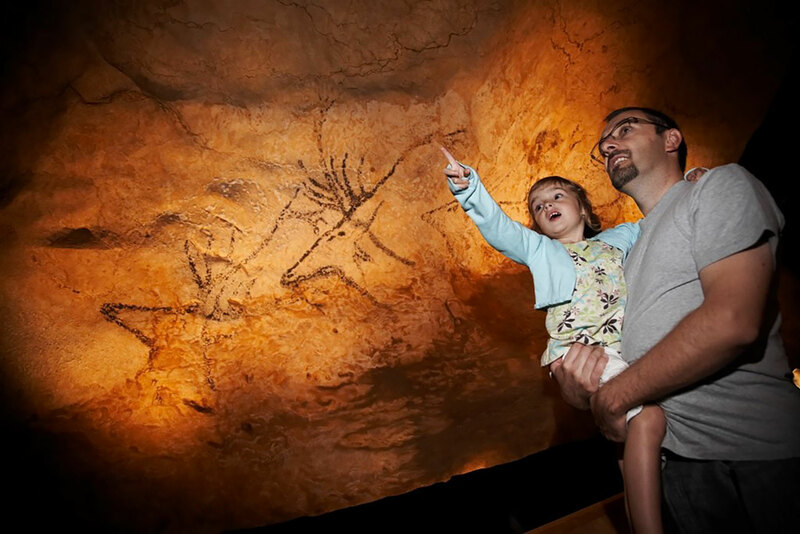 Our campsite is located between Les Eyzies, capital of prehistory, and Montignac-Lascaux, world-renowned for the Lascaux caves. 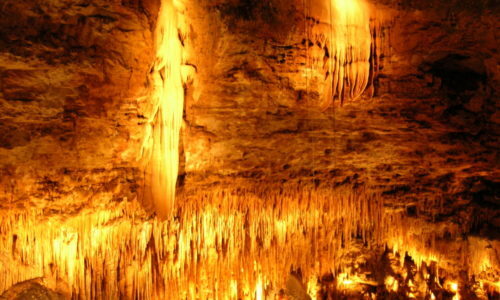 Nearby, you’ll discover castles from different periods, troglodyte sites, leisure parks, museums, caves, rock shelters, and the town of Sarlat, including its pedestrian district, markets and historical patrimony. Curious visitors will be enchanted by the cultural and historical treasures of the valley. 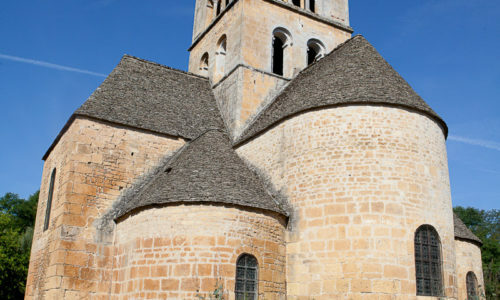 Not far from the Le Paradis campsite, you will discover a number of remarkable sites tracing the history of the region. 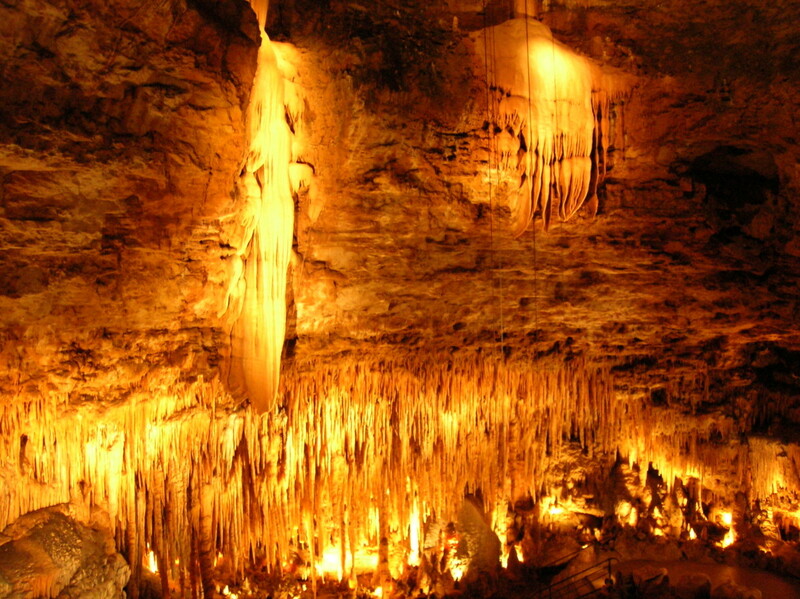 Troglodyte sites testify to man’s presence in the Périgord since prehistory. 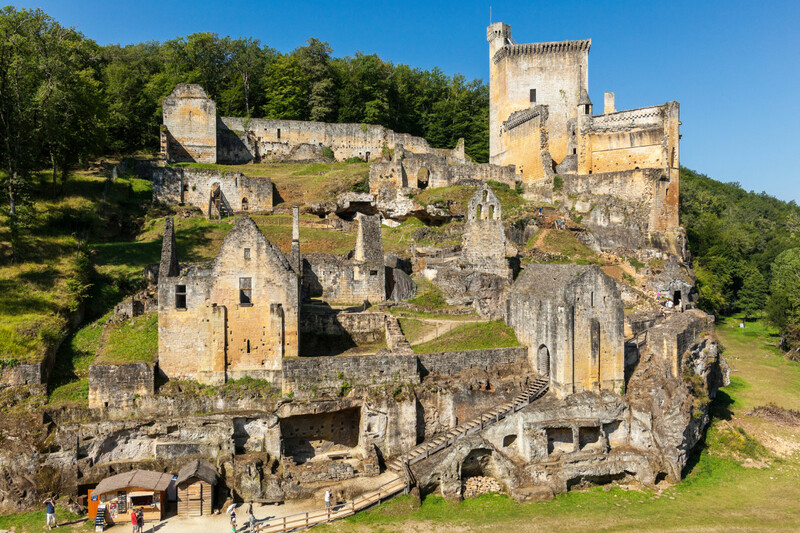 Step back in time at La Roque Saint-Christophe, a site like none other in Europe; explore the Village de la Madeleine, inhabited since medieval times; or visit the Maison Forte de Reignac, a stunning cliff castle. The Dordogne Valley is affectionately known as the “valley of a thousand-and-one castles“. Whether medieval or Renaissance, the region’s castles enchant visitors of all ages. The fortified Château de Castelnaud-la-Chapelle and its medieval war museum overlook the valley. The Château de Losse and its gardens immerse you in the Renaissance. 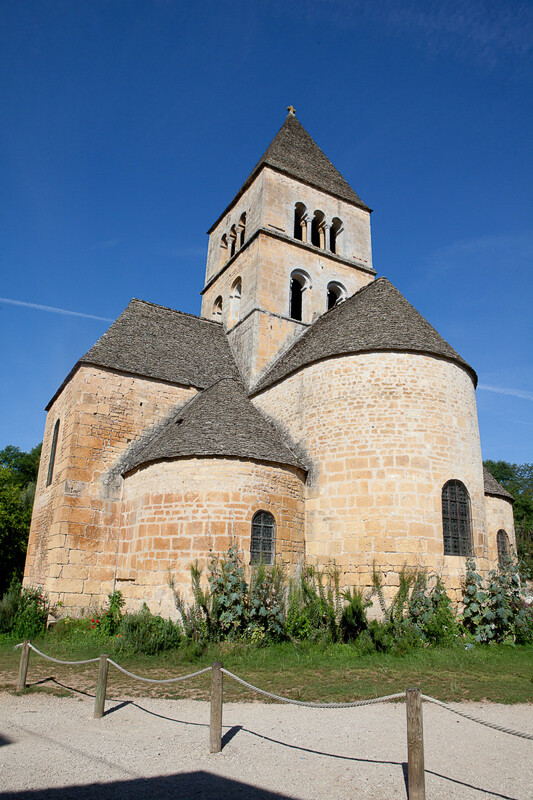 The Dordogne features an abundance of typical villages in the ochre stone typical of the Périgord. 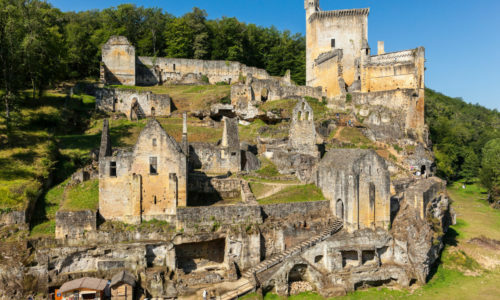 Just 3 km from the campsite, Saint-Léon-sur-Vézère, listed among the Most Beautiful Villages of France, is a true treasure trove nestled among the meanders of the Vézère. You’ll adore its architecture and the charm of its little lanes. 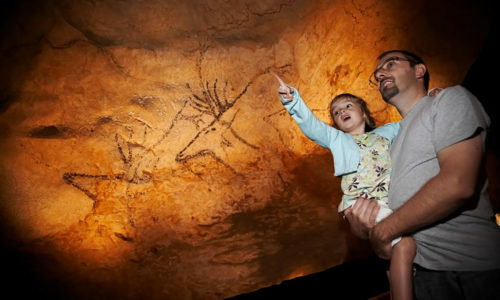 Montignac, world-renowned for the Lascaux caves, will surprise you with the authenticity of its streets and its stone buildings. You’ll appreciate the many attractions of the medieval town of Sarlat featuring the “Ville d’art et d’histoire” label: bustling streets, quaint craftsmen, half-timbered houses and famous market. The hilltop village of Limeuil offers you an unobstructed view over the confluence of the Vézère and Dordogne rivers. The Périgord is a paradise of gourmet foods. – Foie gras is part of the French cultural tradition and is one of the principal products of the Dordogne. – Périgord walnuts feature a protected designation of origin (AOP) like none other in France. – Truffles are the edible part of a mushroom that lives underground. The Black Périgord truffle is recognised throughout the world. – The season of the “cep” of the Périgord stretches through the summer and autumn. It is generally prepared Sarlat-style with potatoes. The river snakes through oak and chestnut woodlands, hillsides and vertiginous caves pockmarked with caves. The Vézère Valley alone features nearly 500 km / 310 mi of well-marked-out footpaths. A guide map of walking, hiking and all-terrain biking circuits (31 loops ranging from one to five hours) is available at campsite reception. The rural département of the Dordogne offers fertile soils and other conditions ideal for gardens. Take time out to enjoy a relaxing stroll and discover the many landscaped gardens of the valley. The Jardins de l’Imaginaire, in Terrasson, offer a truly enchanting voyage filled with emotions. The Jardins d’Eau in Carsac are an ideal stopover for a bucolic breather. Laid out on a rocky spur, the Jardins Panoramiques de Limeuil overlook the confluence of the Vézère and Dordogne rivers. You’ll fall in love with the picturesque, romantic charm of the suspended Jardins de Marqueyssac, featuring hand-trimmed boxwoods. The art of topiary sculpture will reveal all its secrets to you in the French-style Jardins d’Eyrignac.